With record hot temperatures hitting Missouri this summer, utility companies are setting up watering schedules and providing guidance on when someone can, and can't, water their lawns. Although those steps are helpful, there are several things gardeners can do to improve watering efficiency starting with how they water. 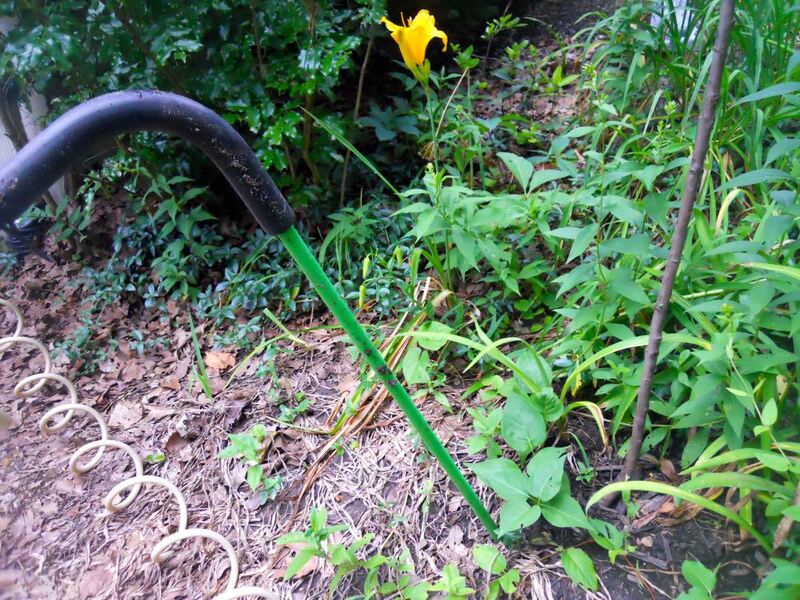 During our 2012 drought, I watered my garden with an underground wand, making sure the plant roots were hydrated. Even though the top of the plants died off, most of them grew again the following year because the roots had been kept alive through watering. In addition, the flower beds were mulched, which helps keep moisture in the soil. This year, as we head into another record hot summer, invest in two things: a watering wand and a rain gauge. The rain gauge will help you keep track of how much water your garden has had. The recommended amount is one inch a week. The watering wand will ensure roots are kept watered and hydrated. You can also use sprinkling systems but know that past 95F the water evaporates so plants do not get any relief. In addition, you can add wet leaves around trees to make sure they get some water. A layer of mulch over wet leaves will make sure the water doesn't quickly evaporate. Have beginning gardeners in your neighborhood? Consider a gardening kit as a gift, it can keep basic gardening tools handy. If you don't have one, this is a good time to put one together and don't forget to add a rain gauge and watering wand. What watering techniques do you use in hot summers?